Mr Fogg’s Tavern is located just a short walk from Leicester Square, they proudly serve handmade and authentic Victorian food and serve beer in tankards - good old-fashioned pewter tankards (none of this modern day nonsense of intricately shaped glasses to allow the aroma to build, or keeping the bubbles bubbling). Most of the beer served is local, craft beer and the setting really is unique, perhaps not to everyone’s taste, but you just can’t help admiring the details and getting in to the swing of it. However, special mention must go to the Gin Parlour and Salon that is tucked away upstairs; whilst tourists and revellers are happy mixing it up downstairs, you need to sample the delights, the serenity and the taste (sartorial) of the Gin Parlour. Speaking of taste, the Gin Salon has over 300 different Gin’s to try, categorised as: London Dry, Old Tom, Light & Crisp, American, Floral & Aromatic, Fruity, Genever, Barrel-Aged, Vintage and Gin Liqueurs all under the heading of The Encylopedia Gintonica. Unlike a pub though, numbers are limited and everyone is seated, there is no jostling for bar space or attention; specially costumed waitresses are waiting to take your drink order and give advice as to what’s hot – with over 300 to choose from, a little expert guidance can be a welcome relief. 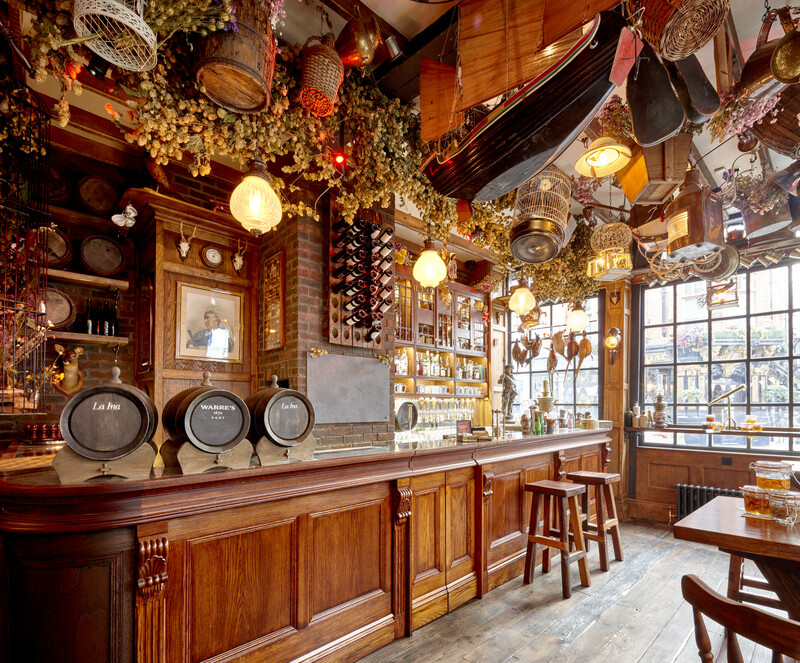 London is full of ‘unique’ experiences, but this Phileas J Fogg inspired tavern and Gin Parlour really is something that you should try at least once, although we’d expect that it would become quite a habit!